Humpy’s is tailor made for beer lovers by beer lovers. With 36 fresh, hand-crafted beers on draught and ‘no crap on tap’ you can’t beat Humpy’s. It’s simply the best beer selection in Kona! If the beers aren’t enough to keep you around, Kona’s ulimate pub fare certainly will. 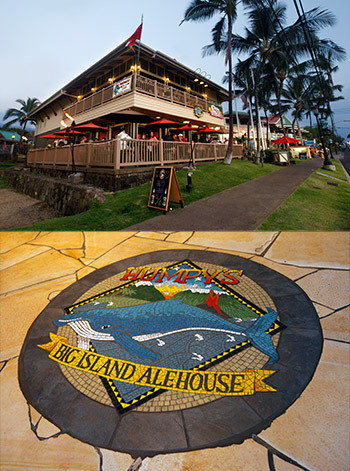 With happy hour every M-F from 3-6 pm, Humpy’s is a must stop for kama’aina and visitors alike! Humpy’s Great Alaskan Alehouse was founded in 1994 with the goal of providing downtown Anchorage a casual, neighborhood alehouse. Excellent food at reasonable prices, live local music and a fantastic selection of draught beers proved a winning combination, and Humpy’s was an overnight success. Humpy’s attracted loyal supporters in droves and revitalized the downtown nightlife scene. 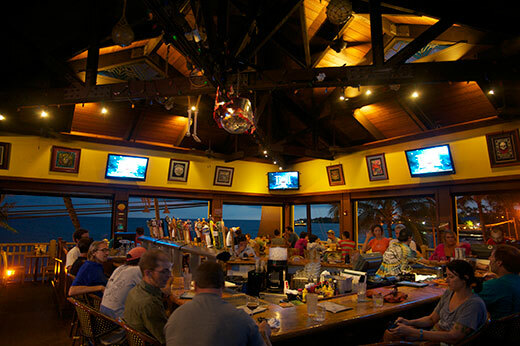 In 2010, Humpy’s expanded to the warmer climate of Kona in Hawaii. The new location on the Big Island features an amazing two-story building with the most spectacular views of the Kona coast. The downstairs bar features patio seating with incredible sunset views and a central bar with a beautiful monkey pod wood bar top. It’s the best spot in Kona for people watching while enjoying cold brew and some great food. Upstairs we have another massive bar and plenty of outdoor seating with sweeping views of the ocean. There’s plenty of room indoors too, if you want to get out of the sun and stay cool.